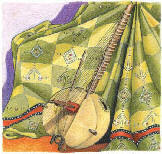 Ten year-old Sidikiba is about to be initiated into the world of the kora, a twenty-one stringed West African harp performed by his family for seventy generations. 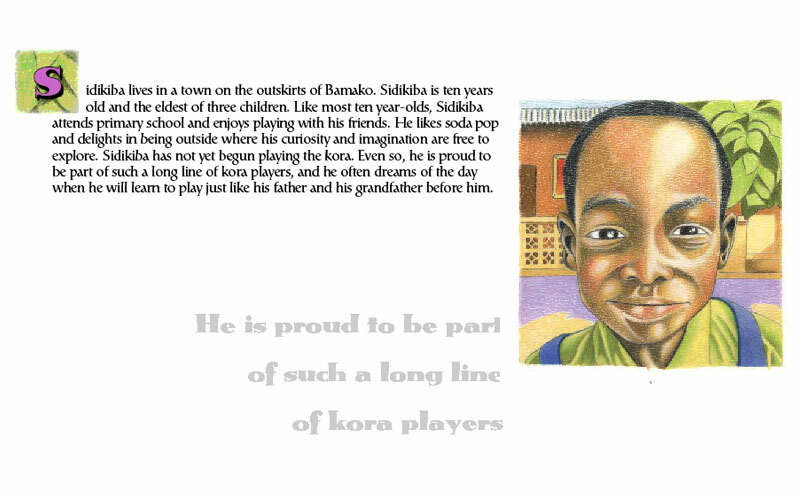 To become a kora player, like his father and grandfather before him, Sidikiba must honor and respect the wisdom of his elders, trust in the mystical secrets of his community, and, above all else, be patient and practice hard. 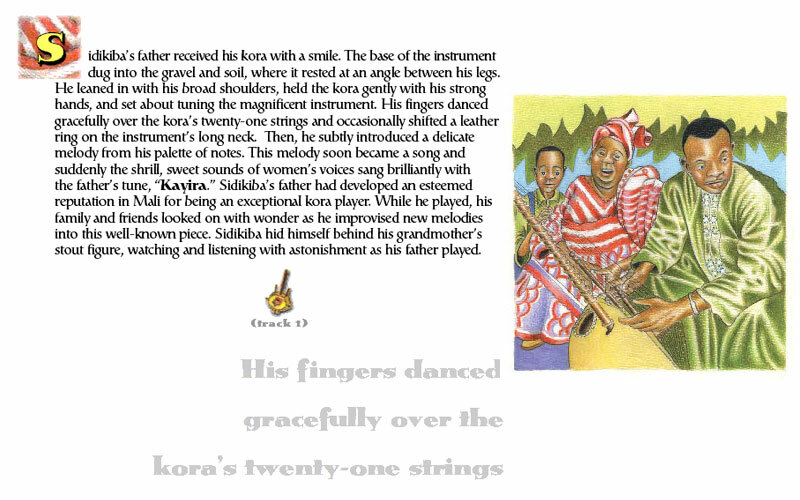 Sidikiba's Kora Lesson is the story of a child's encounter with a rich cultural heritage set in a modern African city, where learning to balance the new and the old is part of growing up. 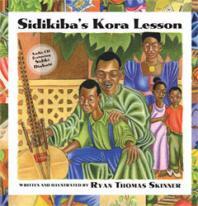 Through sound, pictures, and text, Sidikiba's Kora Lesson comes alive for readers and music lovers of all ages!